Have you registered for next week’s Catholic Writers Guild Catholic Writers Conference Online? You need to register by midnight (Eastern) tonight! Indie Catholic Authors members Connie Rossini, Jane Lebak. Ellen Gable Hrkach, Nancy Ward, Jeannie Ewing, Dennis McGeehan, Dawn Witzke, and A. J. Cattapan are all presenting. Live conferences with video and slide presentations, via AnyMeeting. Open chat between each pair of sessions, so you can get to know your fellow Catholic writers. Pitch sessions with Catholic and secular publishers. Everything will be recorded in case you miss a session. Attend from your own home (in your p.j.s, if you like). Only $40 for all 3 days–$25 for CWG members. Sessions on fiction, non-fiction, general writing tips, self-publishing, promoting your work, and more. A detailed schedule will follow your registration. 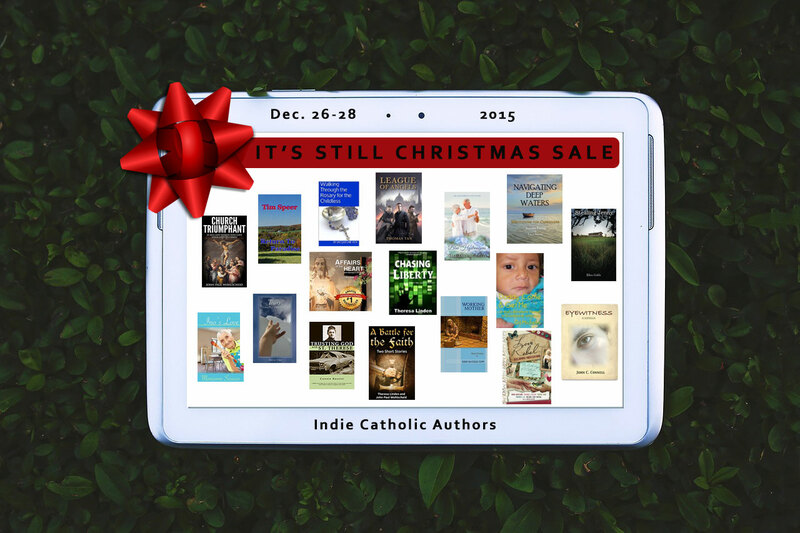 Welcome to the Indie Catholic Authors It’s Still Christmas Sale! 16 authors’ books are $.99 or free. If you’re looking to fill up your new Kindle, Nook, or iPad with good Catholic content, you’ve come to the right place! Scroll down for descriptions and buy links for all our books that are $.99 or free December 26-28. In Church Triumphant by John Paul Wohlscheid, you can read the lives of 25 men and women who dedicated their lives to God and the Catholic Church. These men and women are heroes of virtue and prayer who helped change the world for Christ. The biographies are written concisely with the goal of giving you the chance to learn about great saints in a short amount of time. John Paul was born and raised in West Michigan. He attends daily Mass with his parents and brother, Michael. John Paul and his brother have served English, Latin and Polish Masses for over 17 years. John Paul has always loved to read about the saints and about the Roman Catholic Faith in general. He hopes someday to become a priest. In Stealing Jenny by Ellen Gable, a mentally unstable infertile woman kidnaps a pregnant mother of five. Ellen Gable (Hrkach) is a bestselling, award-winning author of five books. She is also a freelance writer, publisher, editor and book coach. When she’s not writing, Ellen enjoys spending time with her husband and five sons, watching classic movies, playing trivia games and reading on her Kindle. Originally born in New Jersey, USA, the author now calls Canada her home. Set in the not-so-distant future, Chasing Liberty by Theresa Linden is a dystopian story about a young woman desperate for freedom in a society where faith, family, and freedom do not exist. The all-controlling government has elevated the earth above man. Science ensures that every baby born is healthy. The government ensures that every baby born is needed. All are cared for, taught, and given a specific duty to perform, their unique contribution to society. Liberty is slated to be a Breeder. The sequel Testing Liberty came out November 7th. Theresa Linden is a member of the Catholic Writers Guild and a local writers’ group, where she both hones her writing skills and helps other writers. She resides with her husband and three boys in northeast Ohio. Affairs of the Heart by J.I. 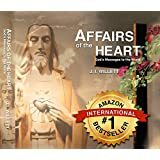 Willett: Join Amazon International #1 Best-Selling author, Janice Willett, as she journeys into God’s arms and receives 72 Messages at St.Veronica Church. In this God-inspired book, she shares the courage to change and God’s desire to know every one of us in a deeper and more personal way. Experience your personal transformation Improve your relationships and friendships. Find faith, hope and healing in this Bishop-approved book. Be inspired daily with the full color inspirations. J.I. Willett is a parishioner at St. Veronica Church, Howell, NJ. Labeled by clergy as an intercessor, she is blessed to have open communication with God to relay His Divine messages to the troubled, sick and dying. 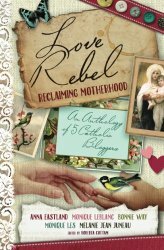 Love Rebel: Reclaiming Motherhood by Melanie Jean Juneau and Others is an anthology that aspires to encourage today’s moms in their vocation. From beautiful poetry to practical tips, essays that capture the small moments of motherhood and reflections on mothering in today’s world, this slender anthology brings together a wealth of wisdom from five ordinary yet inspiring moms. Melanie Jean Juneau is a mother of nine children who has edited her kid’s university term papers for over a decade. 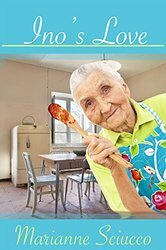 Her writing is humorous and heart warming; thoughtful and thought-provoking. Part of her call and her witness is to write the truth about children, family, marriage and the sacredness of life. She serves as a Managing Editor at Catholic Stand. Blue Hydrangeas by Marianne Sciucco. A nursing facility is everyone’s solution for what to do about Sara, but her husband, Jack, can’t bear to live without her. He is committed to saving his marriage, his wife, and their life together from the devastation of Alzheimer’s disease. He and Sara retired years ago to the house of their dreams, and operated it as a Cape Cod bed and breakfast named Blue Hydrangeas. Jack has made an impossible promise: He and Sara will stay together in their beautiful home no matter what the disease brings. Marianne Sciucco is not a nurse who writes but a writer who happens to be a nurse. A lover of words and books, she dreamed of becoming an author, but became a nurse to avoid poverty. She brings her two passions together in this book. 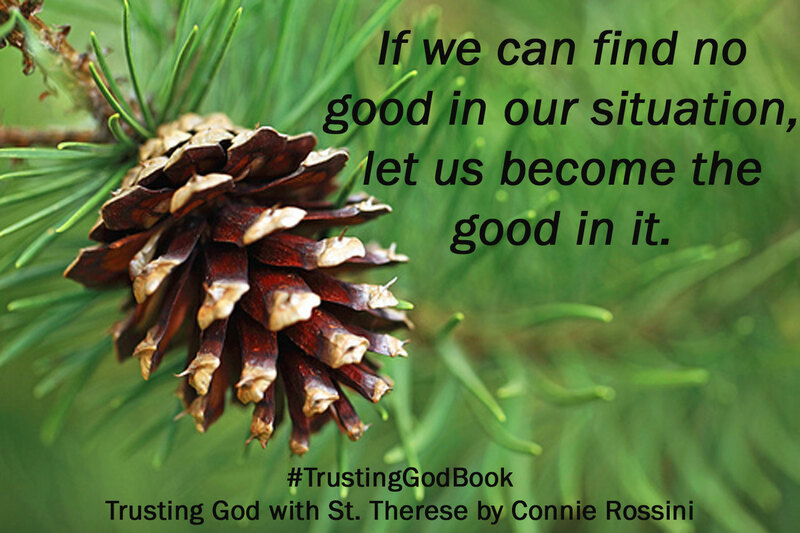 Trusting God with St. Therese by Connie Rossini. Are your fears, weaknesses, doubts, and anger keeping you from intimacy with Christ? Do you struggle with despair? Let St. Therese teach you perfect trust. Learn how Therese of Lisieux trusted God through tragedy, scruples, spiritual darkness, and physical suffering. Connie Rossini pairs episodic stories from the saint’s life with memories of her own quest to trust. Practical and accessible, Trusting God with St. Therese includes questions for reflection that make it perfect for book clubs and faith-sharing groups. Connie Rossini gives whole families practical help to grow in holiness. She and her husband Dan have four young sons. Navigating Deep Waters by Jeannie Ewing Grief afflicts everyone’s lives, including caregivers who provide long-term care for one who requires special needs. Yet caregivers are so often left feeling burnt out, aggrieved, and simply lost or emotionally drained. Navigating Deep Waters: Meditations for Caregivers is a unique resource for busy caregivers who are physically and emotionally spent at the end of a long day. Divided into short, meditative chapters, each with journaling prompts and a prayer. Jeannie Ewing is the mom of children with unique special needs. She leads a comprehensive grief recovery ministry that includes coaching, webinars, and retreats. Working Mother by Erin McCole Cupp. With her husband disabled and out of work and her child in mortal danger, a mother must leave her family and find work so they can all survive. The husband’s name is Joseph. The child’s name is Jesus. The working mother is Mary. 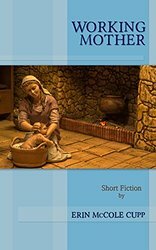 A fictional twist on the story of the Holy Family. Erin McCole Cupp is a wife, mother, and lay Dominican who writes and lives with her family of vertebrates somewhere out in the middle of Nowhere, Pennsylvania. 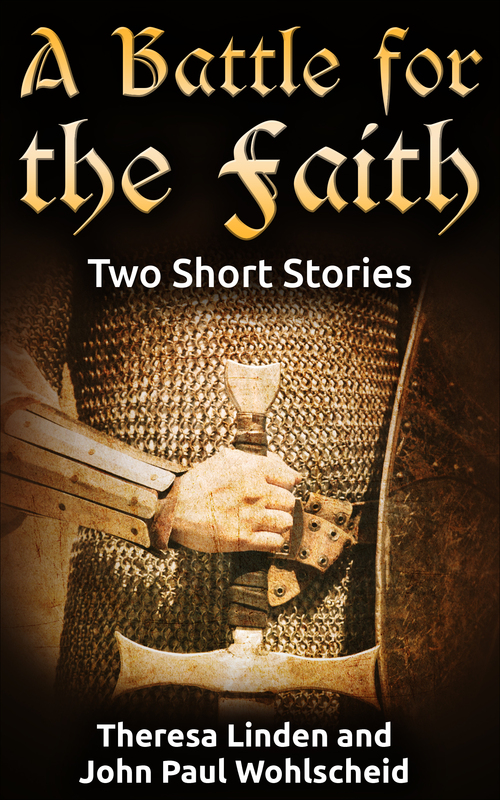 A Battle for the Faith contains two short stories, one by Theresa Linden, the other by John Paul Wohlscheid. In A Matter of Silence and A Matter of Action, the Emperor Kadzrick has decided that the Tribe of the Fathers must change their faith to suit him. The Tribe of the Fathers have held true to their Faith for centuries and will not change now. They are a peaceful tribe, but they will be forced to take up arms to defend what they hold dear: their faith. Theresa Linden is also the author of Chasing Liberty. John Paul Wohlscheid is the author of Church Triumphant. 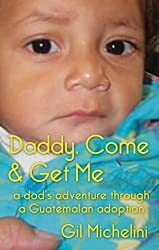 Daddy, Come & Get Me: a dad’s adventure through a Guatemalan adoption tells two stories about one girl. Author Gil Michelini tells how he led his family through the process of adopting a daughter of Guatemala. Using the official Guatemalan adoption documents with the assistance of those familiar with the Guatemalan culture, Michelini includes a plausible story of his daughter’s life in Guatemala and how her birthmother came to the decision to relinquish her for adoption. This story illustrates and honors the sacrifice one woman endured for the sake of her daughter. By day, Gil Michelinin is in instructional design. By early mornings and weekends, he is an award-winning speaker, blogger, podcaster, and author. His current project is helping lay Catholic adults learn how to live lives worthy of their calling using the wisdom of Vatican II. Ino’s Love by Marianne Sciucco. Ino prepares a Christmas feast for her successful, CEO son, but when he’s too busy to spend the holiday with his mother she shares her dinner and gifts with her home health aid. Sometimes the people who love us best are not family. Marianne Sciucco, also the author of blue Hydrangeas, studied the craft of writing as an English major at the University of Massachusetts at Boston and briefly worked as a newspaper reporter in New England. To avoid poverty, she later became a nurse and writes about the intricate lives of people struggling with health and family issues. A native Bostonian who loves Cape Cod, she makes her home in upstate New York. 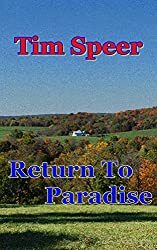 In Return to Paradise by Tim Speer, a detour and a freak accident bring David to the small farming community of Spring River. Is his arrival purely happenstance, or is there a reason for him to be there? As he learns more about the corrupt practices of the local bank, he must decide what role he will play in trying to stop the foreclosures. Complicating his decision is Sarah, a local waitress. With plans to only be in town a couple of days, David knows that Sarah will likely be just a passing acquaintance. But is that all she really is to him? Tim Speer lives in Midland, Texas, with his beautiful wife. They have two grown children. He enjoys all God’s creation, from crystals that come from deep inside the earth, to celestial objects in the deepest regions of outer space. 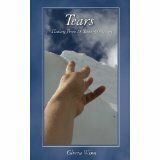 In Tears, Gloria Winn shares her story of excruciating pain that eventually blocked her from God and all her other relationships. After 18 years, grace from God and her response began a healing of this pain. She is free. The memory is there, but the pain is gone, like a thorn being removed from her heart. Gloria Winn is a wife, mother, grandmother and healed by the goodness of God. 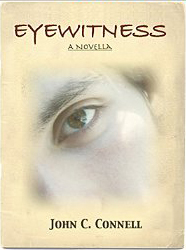 Eyewitness by John C. Connell. Around 33 A.D. Jesus the Christ chooses a blind beggar out of a crowd, and performs a very public, miraculous healing. We are introduced to the Man-Born-Blind in John’s Gospel, chapter nine. We see him, but we do not see what he saw…until now. Peek back in time with this fictionalized version of the story to see the Gospel come into focus, like never before! John C. Connell, in addition to Eyewitness, is the author of Catholics Mean Business: 30 Days to Managing Your Work Week, God’s Way, and the follow-up, Catholics Have Courage: 40 Days to Beating Stress, God’s Way. He lives, works and writes in Houston, TX., where he is crafting other works of non-fiction to “help the soul at work”, and more fiction that will bring history alive like never before! 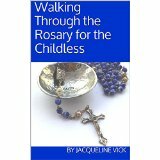 Whether you have just discovered the beauty of the Rosary or you’ve been praying it for a long time, Walking Through the Rosary for the Childless by Jacqueline Vick will help you to delve more deeply into the Mysteries of Christ’s life, death and resurrection. After reading a Bible passage that supports the mystery, contemplate the prompts and questions that follow. Use your prayer journal to record your thoughts and any actions you want to take. The book includes instructions on how to pray the Rosary of the Seven Sorrows. Jacqueline Vick is the author of over twenty short stories, novelettes and mystery novels including the Frankie Chandler Pet Psychic mysteries. Her love of our Blessed Mother led to this Rosary meditation book. Please note: individual authors are responsible for making sure their ebooks are marked down as advertised. Get ready for Indie Catholic Authors’ Christmas Sale! I have just read the short story my 6th grade son was assigned to read for school- Young Ladies Don’t Slay Dragons by Joyce Holvelsrud . On the surface, it is a humorous but deliberate attempt to invert the traditional trope of a helpless princess needing to be rescued from a fire-breathing dragon by a valiant knight or prince. Instead, I read of the trials of Princess Penelope, a lively and industrious princess who eschews the traditional duties of a princess such as sewing or playing the lute, in favor of what I can only assume the author considers non-ladylike activities such as fixing the drawbridge or a squeaky suit of armor. However, when a fire-breathing dragon begins terrorizing her palace, her father, the king, is incapable of finding anyone to slay the beast. So Penelope decides she wants to do it herself, but is rebuffed by everyone from the king to the cook who tell her that “young ladies don’t slay dragons.” Fed up with being dismissed, she eventually dons a suit of armor and using an explosive potion she swiped from the royal wizard when it was his nap time, she kills the dragon. A prince suddenly appears after the dragon is killed and after bragging about how handsome and rich he is and agreeing to let her do all things she likes to do, Penelope agrees to marry him and they live happily ever after. Man and woman were made “for each other” – not that God left them half-made and incomplete: he created them to be a communion of persons, in which each can be “helpmate” to the other, for they are equal as persons (“bone of my bones…”) and complimentary as masculine and feminine. (#372). Thus the Church is saying that in creating humans as male and female, God has fashioned us as equal parts of a matched set and only in coming into communion with one another do we find our ultimate fulfillment as humans. This is a concept that certain strains of feminism today utterly rejects and instead views the complementarity of the sexes as implying that being incomplete without men somehow makes women less equal or valuable than men. (Oddly, they never admit that the same would be true from the man’s point of view.) This has lead to relations between the sexes that are replete with suspicion and recrimination in the most self-centered sort of way, as the Young Lady story vividly portrays. All the men in the story are portrayed as incompetent, petty, and indifferent to Penelope’s desires. The notion that it would be dangerous to allow an untrained princess who apparently is the king’s only child to confront a dragon is not even considered. Instead, stodgy and arrogant men just try to keep her in her place. Thus, to be “made for each other” should never be interpreted as meaning that women are inferior to men in any way, but only that they have been given a different set of resources to act out their vocation- diversity is not deficiency. The story Young Ladies, like much of the cultural feminism that runs amok in contemporary society, seems completely incapable of recognizing this truth, as the author cannot imagine the possibility of a capable and strong feminine character without putting down all the male characters. Apparently in her mind there is only so much dignity to go around, so any increase on the Penelope’s status must come at the expense of all the other characters. Hero or a handsome face? My last issue with the story is more an issue is more literary than theological: the prince who shows up at the end. Hovelsrud has spent the entire story turning the traditional damsel-in-distress narrative on its head in order to show young girls how empowered they can be. However, in place of a knight’s act of self-sacrifice and a princess’s sense of gratitude, we see the offering of a conditional acceptance of marriage that is based not on anything the prince has done, but on his looks, riches, and vague assent to meet her demands. Apparently the author forgot her own first principles, and ended up coming right back to the place she was trying to leave. Here is another well-worn trope (albeit a more modern version of it), but perhaps she doesn’t object to that particular situation. Despite this story’s short comings, I would certainly not shun it. Parents can use it to talk about why what the Church’s view of femininity is more fulfilling than the contentious social interactions that the modern world has to offer. More important, however, is the opening for Catholic authors, especially those who are writing fantasy. The notion that the fantasy genre is the purview of adolescent boys has long been put to rest. The Lord of the Rings movie trilogy has shown that the fan base is about half female. We cannot be afraid to take on the virulent cultural feminism that wants to revise and reform the arts. When it comes to writing fantasy, we should counteract it with a view of femininity that highlights what St. John Paul II called in Mulieris Dignitatem the “feminine genius.” Our female characters can offer a “sincere gift of the self” in a heroic manner. Of course therein lies the challenge. Today’s girls may associate the idea of giving of oneself with romance or teen drama novels, not with the rough and tumble adventures of swords and magic. It is up to us to create compelling female characters that maintain their genius and have the strength, perfected by grace, to keep the (physical, mental, or spiritual) monsters at bay. J. R. R. Tolkien, a devout Catholic, set the standard by which almost all fantasy is ranked. Those of us who desire to write fantasy stories must hand on that standard to a new generation that can outshine all the rest. Tony Juarez is a Catholic writer and Catholic theologian from St. Paul. Use quotes from your book like this for Pinterest and other social media sites. In the previous two parts of this series, we have looked at finding your audience and creating a top-quality product. In this post we will consider marketing. How do you let people know your book is out there? If you have done part 1 well, you already have many readers interested in your work. They are your first audience. The obvious first step when you publish is to let them know, by a blog post or email to your list. Here are other strategies I have tried. I will tell you what has worked for me and what hasn’t. Many companies exist that will set up a book blog tour for a fee. They find book reviewers in your genre and ask them to review your book or interview you. The tour usually “stops” at one blog per day. This is a way to let readers beyond your current list know your book has been published. But you don’t have to hire someone to set up a tour. You can do it yourself. I arranged blog tours for my first two books, but not for my third. The sales of that third book were very slow until another Catholic blogger posted about the book on Facebook. Then I got a big boost in sales. When she later reviewed it on her site, I got another boost. This was essentially a mini blog tour. I have not found that blog tours give me huge sales number, but they do get the ball rolling. They help people who may never otherwise have heard of my book to hear of it, and sometimes to buy it. When you have posts on your book for seven to ten days in a row, there is a cumulative affect. Your book goes up in the Amazon rankings, becoming more visible to browsers. You start to run into people who say, “Oh, I’ve heard of that,” or, “I just read about that on so-and-so’s blog.” You build buzz. So, will a blog tour make you a best-selling author? Probably not by itself. Is it one helpful tool to use? Definitely. In order to set up a blog tour, you need to contact other bloggers. Although you can just send them an email out of the blue, it helps if you already have a relationship with them. Start building this relationship before you finish your book. Visit and comment on their blogs. Friend them on social media and comment on their posts there. I began building a relationship with the blogger I mentioned above by sending her the clipping of an article I knew would interest her. Not only has she enthusiastically promoted my books since that time, we have also become good friends. Another way to connect is to join a Facebook group or Google+ community of authors or bloggers with a common interest. Many of these groups turn out to be little more than sites for link dropping. Find groups where people really support and communicate with each other. Besides Indie Catholic Authors, my favorite groups are the Catholic Writers Guild (CWG) and Clean Indie Reads. The CWG Facebook group is only open to dues-paying members. Clean Indie Reads is mainly for fiction writers, but I have learned a lot there as a nonfiction author. For the blog tour of my second book, I asked if anyone in the Catholic Women Bloggers Facebook group (currently being revamped) would be open to hosting me. 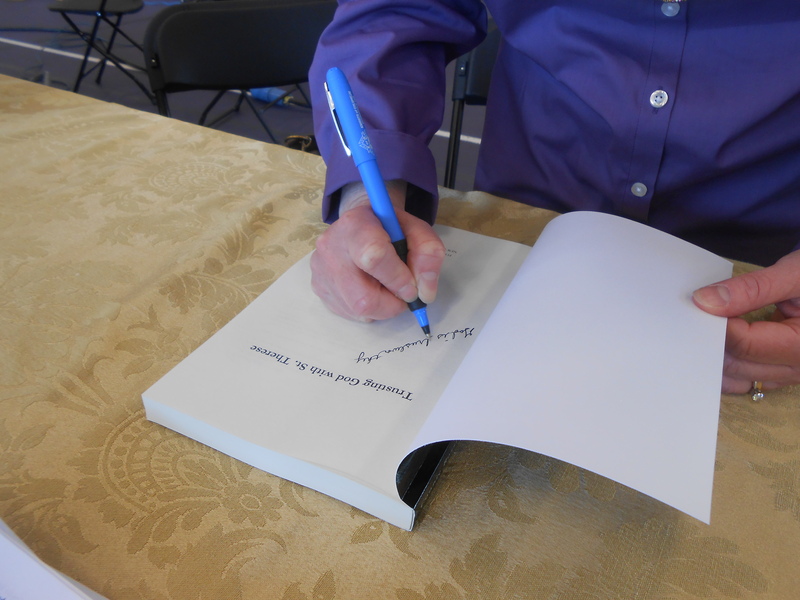 Doing so helped me branch out to audiences that I had not reached with my first book. These connections are great for doing joint marketing. At Indie Catholic Authors we currently do two joint sales a year–in June and December. Last December we tried offering coupons for our paperbacks on Createspace before Christmas. That bombed. The few of us who put our ebooks on sale at the same time did better, but it was still one of my worst Kindle Countdown Deals. I later discovered that most authors do poorly before Christmas. This year we’re starting our sale on December 26 and focusing on ebooks. We hope people who have found new ereaders under the tree decide to try our books. Our second joint marketing effort in June was successful for many authors. No one made a ton of money, but for most participants it was the best promotion they had ever done. I had my second-highest sales numbers, but I also ran a paid promotion at Ereader News Today, which muddied the waters (and cut into my profits). The more people who participate in these joint events, the wider the spread, so if you are an independent Catholic author, please join us! Notice the “also bought” books. Every one of them was part of our joint sale. Some readers bought all 15 discounted books. That means that, for a time at least, customers who browsed any of them had all our books suggested to them as additional purchases by Amazon. A joint event like this takes lots of work. But each time it should get easier to set up. And have greater participation. I have never offered my full-length books free. Free days work very well for many fiction authors. For me, with a limited audience for nonfiction, I don’t want to miss out on sales. I use Kindle Countdown Deals instead. My best sales have all come when I have 3 days at $.99. If you can connect your book to a special date for your sale, do so. It’s a no-brainer for books about saints to discount them for the saints’ feast days. Many people are looking for just such books at that time. If you are promoting a romance for Valentine’s Day, you’ll have a lot more competition. I’m not sure how well that works. Pay attention to your key words and categories on Amazon. Don’t choose categories for your book that are so broad that no (human) browser will ever find you. 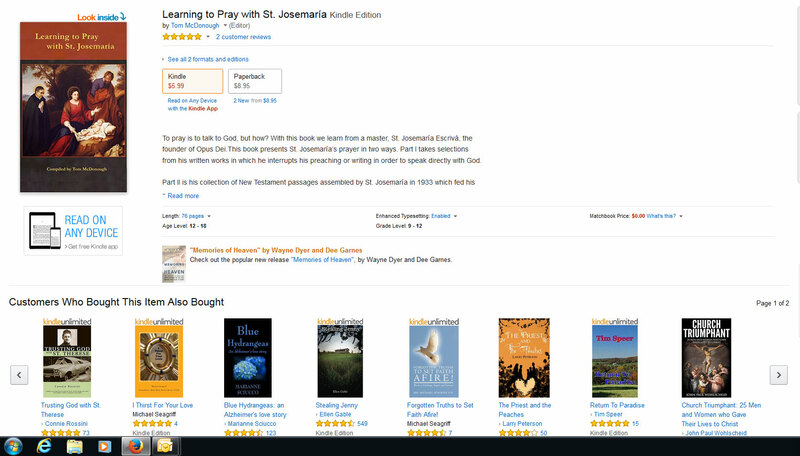 I use “Carmelite Spirituality” for one of my key words and have three of my books appear on the first page, including my free ebook in the top slot. The books are somewhat lower when I search for “Carmelite.” Hmm. I wonder if I should change that? Ask yourself what you would search for if you were shopping for a book like yours. You’ll notice that when you start entering search terms, Amazon makes suggestions. These suggestions tell you what the top search terms are. Use them if you can. Some people say that Facebook targeted ads (not post boosting) have worked well for them, but you have to do them right. Every time I try to set one of these up, I have browser issues or the process is so convoluted I give up. If Facebook can make it simple, I will probably try one. In the meantime, I know that the people I interact with through commenting on their posts, direct messaging, or participating in a group will see my posts more easily than others. Before I launched my first book, I was very active interacting with my friends, to make sure they saw my posts about the book coming out. I had over 1000 Facebook friends at the time. Some of them shared my post with others. On Twitter, I noticed more retweets, messages, and mentions once I hit about 1200 followers. Now during my promotions, I try to follow a couple dozen more people on Twitter. Often they will glance at my profile to see my latest tweets and–voila–they see I have a book on sale for $.99. This is my secret for sales through Twitter. Shhh! Don’t tell. Tweets to my regular followers can easily get missed. Pinterest always brings more people to my blog than any other social media platform. For my launch of Trusting God, I created pins with quotes from my book, using public domain photos. See the top of this post for an example. Each pin had a hashtag, the book title, and my name. Over the first two months after publication, I pinned, tweeted, or posted one to Facebook or Google+ regularly. I pinned one to the top of my Twitter page for an easy retweet for new followers. It’s impossible to say how many sales I received through these social media endeavors, but I am certain that they did help. I have also done a handful of radio and podcast interviews. With each one I have gotten some sales. Some shows, of course, give much better results than others. My focus is now turning towards doing more public speaking. Next spring (God willing) I will be leading a retreat for moms in the next diocese over. Last May I gave two talks at the Minnesota Catholic Home Education Conference. I have also spoken at a handful of parish women’s groups and book clubs. I have done one online conference, and hope to do at least two in the spring. How well can you sell at these events? My last talk, just a few weeks ago, had only nine women attend from a small rural parish. However, I brought along copies of all three paperbacks and sold a total of eleven. Not bad when combined with the stipend and traveling expenses I also received! At the homeschool conference, when I had published two books, I sold 29. I also asked for a larger speaking fee than I had ever received before. Later, a woman who sells books at schools and conferences throughout the Midwest contacted me. She had bought Trusting God at the conference and wanted to order it and A Spiritual Growth Plan for Your Choleric Child for resale. I offered her a 40% discount and she bought 26 books. 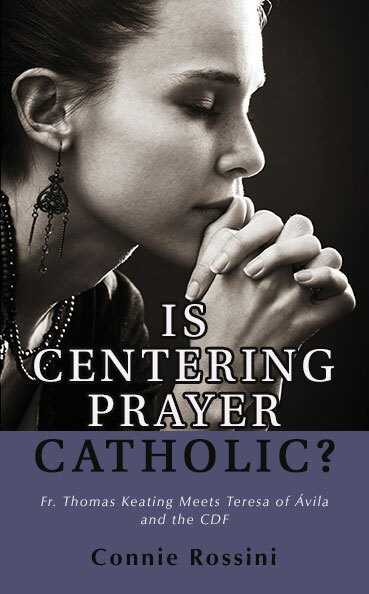 Last week I sent her a copy of Is Centering Prayer Catholic? for review. If you hope to use reselling of any kind, you must price your paperback high enough that both you and the reseller can make decent money. After reading an article with this suggestion, I decided to price my book at $15.95 instead of $12.95. I now have a very good profit margin on my paperbacks. I don’t hesitate to offer the industry standard discount. I see public speaking as similar to blogging–except you can earn money at it! You can speak about themes you are already an expert on. If they are related to your books, book sales will probably follow. Your take-home income from books you sell yourself is about double your Amazon royalty. You can decide whether or not to discount the books at events. In the long run, public speaking can be much more lucrative than writing. Of course, I love writing and am not about to give it up. But I feel I can slow down (as soon as I finish my temperament series) and focus on selling paperbacks at events rather than always having to produce new material. Promoting my book to bookstores has been mixed. I sent a copy to a bookstore in the city we lived in for six years. Even with multiple contacts, they never gave me a final yes or no. I eventually gave up. However, Leaflet Missal Co. in St. Paul recently promised to include Trusting God in a future catalog and perhaps in their store. They are constantly sorting through samples, so they could not give me a timeline. At both stores I offered to do a signing. It seems that neither store does this very often. I also have a Carmelite book shop in England that wants twelve copies of Trusting God for resale. I am still figuring out the best way to work that. With the three recent successes on resales, I am planning to contact a few more large Catholic bookstores. Smaller neighborhood stores probably would not sell enough to offset the cost of time and review copies. I will probably post about my failures or successes in a detailed post later. One other promotion I tried that fell flat was print advertising. Last December I ran an ad (quite expensive) in The National Catholic Register’s Christmas insert. I didn’t sell a thing. A short time later I had in ad in both the print edition of Our Sunday Visitor and on the OSV website. I did sell enough to offset some of the costs, but that was it. I will not try print ads again. My next venture is into the world of hybrid publishing. I was approached by an editor at Emmaus Road to co-write a short book. It is now being edited and should be available some time in 2016. Studies show that hybrid authors–those who both self-publish and traditionally publish–earn the highest income. I am hoping that this book will expand my audience, introducing new readers to my “backlist” as well. It may also help me get my self-published books in more stores and net me more media appearances. Will I make as much this year as I did last year? The way things look now, probably not. But I have mostly been focused on writing and haven’t done as much marketing as I did this time last year. The advantage to self-publishing is that it’s never too late to try a new marketing technique. If a book does not take off right away, I can work hard on promoting it a year later and see a boost in sales. No one is going to stop printing my book if sales slump. Least of all me. I hope you have found this series helpful. Now, in the comments, could you share some marketing techniques that have worked for you? Like everyone else, I can always learn something new. Thanks! Connie Rossini gives whole families practical help to grow in holiness. She is the author of Trusting God with St. Therese, A Spiritual Growth Plan for Your Choleric Child, Is Centering Prayer Catholic? 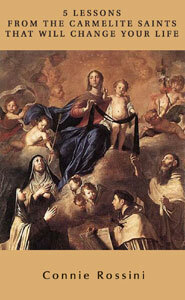 and the free ebook Five Lessons from the Carmelite Saints That Will Change Your Life. She writes a spirituality column for The Prairie Catholic of the Diocese of New Ulm, Minnesota, and blogs at Contemplative Homeschool. She is also a columnist for SpiritualDirection.com. She owns the Google+ Community Indie Catholic Authors. Connie and her husband Dan have four young sons. In part one, we saw how finding your audience helps to raise the likelihood of indie success. In this post, we’ll focus on how to produce a work that sells. If you have been able to build a good audience on your blog, you probably already write high-quality work that others want to read. But this can be a problem for many writers. They cannot seem to build their audience, even though others writing on the same subject have many subscribers. The beauty of a blog is, it allows you to practice. Your elementary school teacher was right when she said, “Practice makes perfect.” Blogging regularly helps you refine your ideas and test them out. It gives you feedback. Listen to your subscribers. What do they like about your blog? Pay attention to the questions they ask. Are you being too vague or talking past them? Sometimes it looks like successful authors are just “lucky.” In reality, most successful authors have lots of practice and often lots of missteps (even “failures”) in their past. In my twenties and thirties I was unable to find a traditional publisher for three novels I wrote from a Christian worldview. I set them aside and began writing nonfiction. Will I self-publish those novels some day? Maybe. But even if I don’t, the experience of writing and trying to publish them was invaluable. Don’t expect instant success. And don’t give up. While writing my novels, I devoured writing magazines and books from Writers’ Digest. I studied, I learned, I grew. While we as indies know that many great books have been self-published, we also know that the stigma against indie books is not wholly unwarranted. I have started reading many books that I put down in frustration because of the poor quality. Most of the mistakes I see can be fixed by a good revision and editing process. In writing Trusting God with St. Therese, I had the Catholic Writers Guild non-fiction critique group look over chapters, one at a time. When the manuscript was finished, four beta readers gave me their opinions. I made many changes, then turned it over to my editor. I am blessed to be married to a nonfiction editor. But even though editing may be your greatest cost, I urge you not to pass this step by. Check out the list of Catholic editors and other service providers on our site. My husband always has macro and micro editing suggestions. The process is painful. I complain. I nearly pull my hair out. But I also do most of the edits he suggests. My books are always much better for it. After editing, you need to proof the book over and over. The first time, I did this myself and nearly went crazy. The second time, I paid a proofreader and was not very satisfied with the results. I think I will try a different proofreader for my fourth book. Again, it costs a little money. But you must have a well-proofed book if you want it to sell. I read about design at the book designer. I buy templates from Derek Murphy. I spend a few dollars for professional microstock photos. I study the best covers in my genre and try to exceed them. I study secular book covers. I use the same fonts and a consistent design and color scheme on all my covers to create my brand. I usually design a cover early in the writing process, mostly for a change and for fun. Then later I decide I don’t like it and come up with something drastically better. Along with good covers, consider good interior design. If you work in Word or Scrivener, book templates are handy for your paperback layout. I designed my first paperback interior and will never do it again. Now I use templates from Joel Friedlander. Some writers have a hard time writing their Amazon book description and back cover sales copy. The book description can make the sale for you, if you do it right. There are many blog posts about how to make your description work for you. This is your reader’s first taste of your writing. Get it right! I have never had trouble with this step. If you are struggling and would like some help, I’ll write your description and sales copy for $10 per book. You just provide some basic information. Contact me at crossini4774 at comcast dot net for more details. Sometimes mediocre books sell. But who wants to write a mediocre book? Take your time, practice, do your best work, and have it professionally edited. Then add a great cover and compelling sales copy and you’re on your way to success! In Part 3, we’ll look at marketing for success. 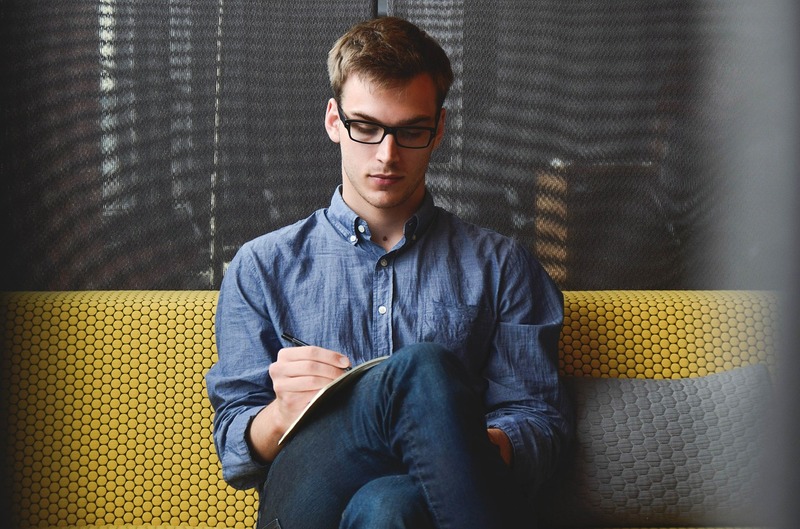 So, you want to be a successful indie author, but wonder if you can make decent money at it. You know that a few big-name writers do, but they write secular romance. You write fiction from a Christian worldview, or Catholic nonfiction. Can you make more than pin money? Yes, if you are willing to learn and to work hard. 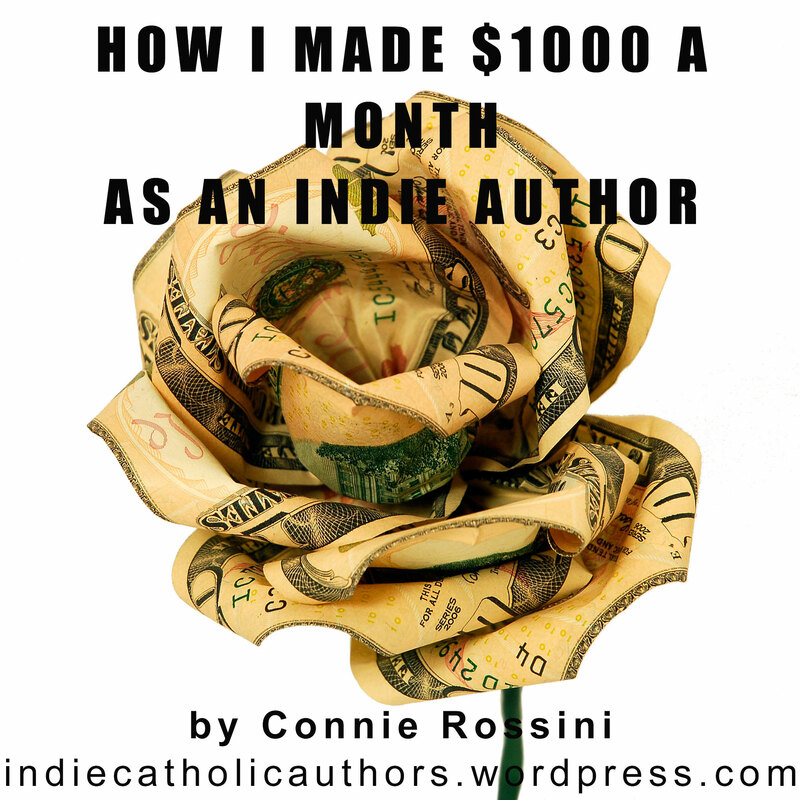 My first year as a Indie Catholic Author (not counting the year when I mostly gave away my writing), I made about $12,000 in book sales and royalties. While I can’t guarantee that you will make that much (or even that I will do that well my second year), I can tell you how I maximized my profits. Half of the writers – traditional and independent – earned $1,000– $2,999 or less. Traditionally published authors made a median income of $3,000-4,999. Self-published authors made a median of $500-999. Hybrid authors – who have published both ways – made a median of $7,500-9,999. Now, let’s look at some strategies to help you exceed those numbers. The most important thing you can do to become a successful indie author is to identify and connect with your book’s audience. We now have a global market of readers. That means that unless you write about something extremely obscure–like Lord Brideshead’s hobby of collecting matchboxes, for example–there is probably an audience for your book. I write about Catholic spirituality for those who are serious about their faith. This is hardly a hot market! Yet I made about twelve times the median income for self-published authors my first year. In fact, I passed the annual median in my first month of being published. 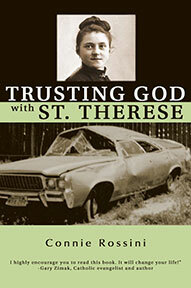 And I am convinced a large audience for that first book (Trusting God with St. Therese) still exists. I just have to connect with them. I started a blog and built up an email list. I chose a subject I was excited about. I wrote from personal experience, sharing my struggles. Blogging is much easier for nonfiction than fiction writers. My first musings about trusting God were on my blog, Contemplative Homeschool. They began to establish me as an authority on my subject. If you write fiction, try to find a subject you can blog about that would interest your book’s audience. Some writers make the mistake of blogging for other writers, rather than for readers. Use blogs like this one for that purpose. On your own blog, you need to connect with people who want to read books like yours. Use a service like mailchimp to share your posts with subscribers. In order to build your subscriber list, offer a free chapter of your book, an exclusive short story, or another incentive. Make your signup form obvious. I started offering a free PDF that combined several posts on prayer, and added a pop-up signup box to my blog, in January 2014. My subscriber list began to rise steadily. Always focus your efforts to connect with readers on your blog. Other social media should be secondary. You don’t own Facebook (unless Mark Zuckerberg is reading this ). They constantly make it harder for your “friends” to read your posts. You have little control over any social media platform. Your blog – especially if it’s a self-hosted blog – is in your hands. No one can take your audience away from you. Studies show that the people on your subscriber list are many times more likely to buy your books than those you are connected with on social media. Put your efforts where they will help you most. I use Facebook a lot, because that’s where most Catholics on the internet hang out. It helps me expand my reach. I also find it good for support groups. 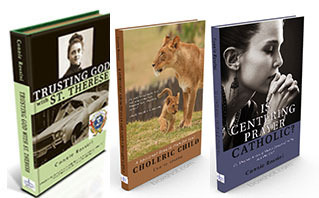 Indie Catholic Authors is on Google+. The Catholics on Google+ are largely a different crowd than those on Facebook. I chose Google+ for our community for SEO. But no matter where I am online, I always try to get people back to my blog. I began blogging in November 2012. In July 2013 I published my first ebook, which was only 1600 words. I wanted to offer it free, but I also wanted it to be on Amazon. So I uploaded it both to KDP and to Smashwords. On Amazon, I put the lowest price allowed $.99. I sold 1000 copies in the three months before Amazon price-matched the book. 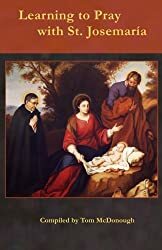 To this day, Five Lessons from the Carmelite Saints That Will Change Your Life is in the top 5 free ebooks in the Catholicism category and the top 10 in the Religion and Spirituality category. Besides the unexpected money, this short ebook helped expand my reach. Thousands of people all over the world have read it. I included a link to my blog. 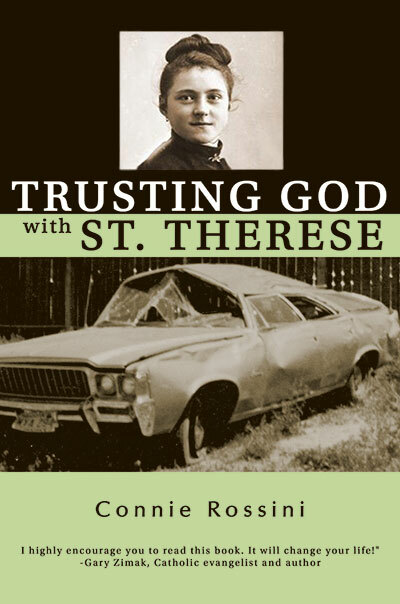 After I published Trusting God with St. Therese, I updated the free ebook to include the introduction to it, with a buy link. So, the lesson here is to build your audience with free material. At the beginning, I encourage you to link to your blog in comments on others’ blogs or in social media threads. Find a blog with a large audience that overlaps with yours and become active there. I started commenting at SpiritualDirection.com at the beginning of 2014. I linked to a post I had done on the same subject as the article I was reading. Dan Burke, the owner of the site, read my post. In June 2014, he invited me to be a columnist. SpiritualDirection.com is the largest Catholic spirituality blog on the internet. Well over 30,000 people subscribe (although at that time it was closer to 20,000). I published Trusting God with St. Therese in July 2014. I had about 800 subscribers. My first post at SpiritualDirection went up a month later. It was carried on several other sites afterwards. I sold about 20 ebooks and gained many new subscribers. Today my subscriber list is over 1700. Guest posts are also a good way to share someone else’s audience. If you and another blogger can swap guest posts, you can both gain. Of course, if the blogger you are swapping with only has 100 subscribers, your gain will be a handful at most. Part of connecting with your audience is making it easy for them to find and buy your books. Authors are always debating whether or not their ebooks should be exclusive to Amazon. Being part of what is called KDP Select gives you higher royalties, an easier way of putting your ebook on sale, and other benefits. But, of course, it makes you dependent on one retailer. I start each of my books in KDP Select. Your commitment is only for 90 days. Make sure you try a promotion during that time to see how it works. My first promotion for Trusting God with St. Therese was very successful. I still have that book in KDP Select. About 70% of my profits have been from the ebook. For A Spiritual Growth Plan for Your Choleric Child, I found that my audience prefers paperback. I have made a paperback version for each book through Createspace. Probably 70% of the profits of this book so far (released in May) have been paperback. I just took it out of KDP Select and began distributing the ebook more widely through Draft2Digital. Trusting God with St. Therese was released as an audiobook in April, which has made about $300 in royalties so far. I split these with my narrator. I used ACX for the audiobook and highly recommend it. Although sales have been modest, I do see an uptick when I run a promotion on my ebook. Issue your book in all formats, if possible. I probably won’t do audiobooks for my Spiritual Growth Plan series, because the book lists and lesson plans that are an important part of the book aren’t suited to that format. But I do plan an audiobook for my third book, which was just released, Is Centering Prayer Catholic? In part 2, we’ll look at quality issues that effect your sales. Part 3 will focus on marketing. Connie Rossini gives whole families practical help to grow in holiness. She is the author of Trusting God with St. Therese and the free ebook Five Lessons from the Carmelite Saints That Will Change Your Life. She writes a spirituality column for The Prairie Catholic of the Diocese of New Ulm, Minnesota, and blogs at Contemplative Homeschool. She is also a columnist for SpiritualDirection.com. Her posts have appeared on Catholic Lane and elsewhere. She owns the Google+ Community Indie Catholic Authors. Connie and her husband Dan have four young sons. Print this form out for each chapter or blog post and attach it to a clipboard. The first few items are usually done on the computer, but I still use the clipboard checklist to track my progress. I usually have several clipboards going so I can rest my mind frequently and get a fresh take on each project. Paste your favorite prayer on the clip. _______1. Master your message – identify all the ideas that you have written. What do your sentences say? Does each paragraph discuss one idea, and one only? Do your ideas transition logically from one paragraph to the next? Are you saying what you meant to say? When it doubt, forget style and art. Just write down what you mean to say. It can be made pretty later. _______2. Remove the extra ideas. Eliminate all non-essential observations, background information, side points, and other bonus material. _______3. Remove the extra words. Really, very, simply, especially, quite, in order to, in conjunction with, in consideration of . . . on paper, these filler words are often parasites. _______4. Check for misuse of words you are not sure of (gerunds and pronouns; job titles (President) capitalization; upload vs download) at common errors in English http://public.wsu.edu/~brians/errors/errors.html – errors or other handbook. ________6. Check for clichés on http://www.be-a-better-writer.com/cliches.html. _______8. Listen. How do you sound? Check these two together with clipboard and red pen in hand. Punctuate. Print a double-spaced manuscript draft and read it aloud. As you read, do not take any breaths or pauses except at punctuation marks. Where are the missing pauses and stops? Go back and add punctuation. You may need to turn one sentence into two, three, or more, in order to make your post read the way itshould be spoken. Eliminate clumsy repetition. It is not necessary to thinkupanelaborate list of synonyms for the subject of your article. Rephrase your paragraphs to avoid jarring repetition of noticeable words. If you are attempting to use repetition as a stylistic effect, and you aren’t sure you have succeeded, let your editor know that. In all cases, clear communication is more important than impeccable style. ______9. Proofread. Print another double-spaced draft. Read it word-by-word, forward and backward, marking corrections in red. Correct, reprint, correct again. Read through your whole post or chapter. Every time you find a problem, go back and fix it immediately. Then re-preview. A well-edited post is usually read backward and forward three or more times. ______10. Get a second opinion read-through. Make changes; proofread as needed. Expanded from Catholic Writers Guild Blog Guidelines. Thank you, Catholic Writers Guild, for providing the basics for this adaptation for us to adapt and make our own! Nancy Ward is a convert, journalist, blogger, published author and speaker. On JoyAlive.net she shares her Joy in the Lord, her conversion, Catholicism and Christian community in Texas. Her “Sharing YOUR Faith Story” Seminar is available on DVD. Here are the new books released by members of Indie Catholic Authors in April through June. A Spiritual Growth Plan for Your Choleric Child is the first of four books by Connie Rossini on the temperaments. Right now the ebook is on sale for just $.99 until 8 AM Pacific Tuesday. Does your child burst with energy, self-confidence, and determination? Does he struggle with pride, anger, and a desire to control everything and everyone around him? A Spiritual Growth Plan for Your Choleric Child explains the temperamental roots of your child’s behavior. Designed to help Catholic parents raise virtuous children, it offers parenting tips, templates, and a handful of lesson plans. Learn how to work with your child, building on his God-given strengths and minimizing his weaknesses. Teach him to pray mental prayer from a young age. Use the book list to encourage him to imitate the virtues of characters he will love. Create a spiritual growth plan for the calendar year or school year. Whether your child attends school outside the home or is homeschooled, this book will support you in being his primary teacher on living the Christian life. Connie plans to publish the volume on the phlegmatic child by the end of this year, with the remaining two books being released some time next year. 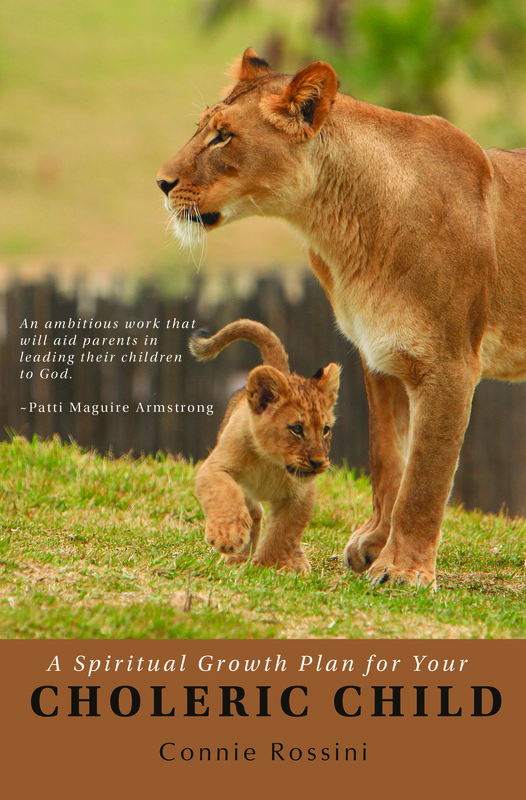 A Spiritual Growth Plan for Your Choleric Child is available as an ebook and a paperback. 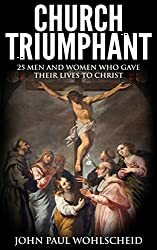 Church Triumphant: 25 Men and Women Who Gave their Lives to Christ is author John Paul Wohlscheid’s first venture into non-fiction. In Church Triumphant, you can read the lives of 25 men and women who dedicated their lives to God and the Catholic Church. These men and women are heroes of virtue and prayer who helped change the world for Christ. The biographies are written concisely with the goal of giving you the chance to learn about great saints in a short amount of time. Charles I of Austria, Blessed Charles de Foucauld, St. Clement Maria Hofbauer, St. Gabriel of Our Lady of Sorrows, St. Gerard Majella, St. Gianna Molla, Blessed John Henry Newman, St. Maria Goretti, St. Maximilian Kolbe, St. Nicholas, St Peter Julian Eymard, Blessed Pier Giorgio Frassati, St. Padre Pio of Pietrelcina, Pope St. Pius X, St. Teresa Benedicta of the Cross, St. Charbel Makhluf, Venerable Bishop Frederic Baraga, Venerable Fulton J. Sheen, Blessed José Luis Sánchez del Río, St. Kateri Tekakwitha, St. Marianne Cope, Blessed Miguel Pro, and Servant of God Father Patrick Peyton. Church Triumphant is exclusive to ebook format and sells for only $2.99. Also published this spring was author Tim Speer’s novel Return to Paradise. A place where prayer, faith, hope, love, and little miracles come together. Return To Paradise is the story of a physical detour that turns in to a spiritual journey. A detour and a freak accident result in David finding himself in the small farming community of Spring River. Is David’s arrival in Spring River purely happenstance, or is there a reason for him to be there? As David learns more about the corrupt practices of the local bank he must decide what role, if any, he will play in trying to stop the foreclosures. Complicating his decision is Sarah, a local waitress. With plans to only be in town a couple of days, David knows that Sarah will likely be just a passing acquaintance. But is that all she really is to him? Through prayer and faith, the town of Spring River is given new hope. Through prayer and learning to surrender to God’s will, David is shown the path that God has for him. 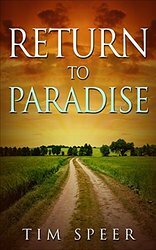 Return to Paradise has 4.8 stars with 14 reviews on Amazon. It is available both in ebook and paperback formats. Award-winning Tasmanian author Mishka Gora released her fantasy novel Wellspring in June. Verys is Priestess of Fraerigh in dark times. Her king is embattled on all fronts and another city has fallen to the usurper. The colonial kingdom’s survival depends on a legendary stone somewhere in an icy wasteland at the end of the world… as well as the wiles of her brother Gwilym, a dauntless seafarer. Three ships traverse the wildest seas to find the lost continent while three naval fleets converge in a battle for supremacy. In the midst of this turmoil, Verys’s greatest challenge is to discern friend from foe and faith from folly. Betrayed by her protege and plagued by doubts, Verys must ascend to the pinnacle of her calling even if it means sacrificing her hopes for the future. 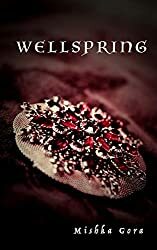 Wellspring is available as an ebook and a paperback. From author Benita J. Prins comes Starscape. It was no more than idle talk in the marketplace that began it. When Pluriel is accidentally reminded of an old prophecy, he and three companions begin the long journey to Nevarra Swamp. Their mission? A nearly hopeless attempt to recapture the Sword of the Star, stolen centuries ago by Jalavak. This Sword is the only weapon which can defeat the Dark Lord, for he was wounded by it in the war of the Valintari at the dawn of time. But what can Pluriel, Ringard, Galdore and Tristal do alone? For if the prophecy is to be fulfilled, the Star itself must fall from the sky – and how could such a thing come to pass? Starscape is available as an ebook or a paperback from many online retailers. Please see Benita’s website for all buying options. Already in the third quarter. Melanie Jean Juneau has published a short story in an anthology with other Catholic women. Authors Virginia Lieto and Connie Rossini both have books due out in the next few weeks. If you would like a review copy of any books by Indie Catholic Authors, please leave a comment below and we will contact you. Beyond the Bestsellers: 3-day ebook sale! Welcome to Indie Catholic Authors first ebook-only joint sale! Grab 17 ebooks from 16 different Catholic authors for $.99 or less each! Join us on Facebook to chat with the authors throughout the day on Wednesday, June 24. For details on all the books, their authors, and buy links, read on! Scroll down to the bottom of the page to enter our giveaway of Catholic books! Please note that each author is responsible for setting up the sale on his or her own book. Other authors or the Indie Catholic Author community as a whole cannot guarantee that every author has done so. Although babies are pre-verbal, they are perceptive and remember, even their time in the womb. Since infants come from God, they are more spiritual than adults ever imagined. Melanie offers insights through slice-of-life stories which will surprise you and make you laugh. Her writing is humorous and heartwarming, thoughtful and thought provoking, with a current of spirituality running through it. Melanie Jean Juneau is a wife, writer and mother of nine children who blogs at joy of nine9. The very existence of a joyful mother of nine children seems to confound people. Part of her call and her witness is to write the truth about children, family, marriage and the sacredness of life, especially a life lived in God. What if the person who knew you best and loved you most forgot your face, and couldn’t remember your name? Jack has made an impossible promise: He and Sara will stay together in their beautiful home no matter what the disease brings. However, after nine years of selfless caregiving, complicated by her progressing Alzheimer’s and his own failing heart, he finally admits he can no longer care for her. Marianne Sciucco is not a nurse who writes but a writer who happens to be a nurse. A lover of words and books, she dreamed of becoming an author when she grew up but became a nurse to avoid poverty. She later brought her two passions together and writes about the intricate lives of people struggling with health and family issues. 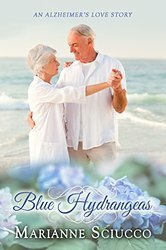 Her debut novel, Blue Hydrangeas, an Alzheimer’s love story, is rated 4.7 stars on Amazon and has more than 60 5-star reviews. A native Bostonian, she lives in New York’s Hudson Valley and, when not writing, works as a campus nurse at a community college. She loves books, the beach, and craft beer, and especially enjoys the three of them together. Are your fears, weaknesses, doubts, and anger keeping you from intimacy with Christ? Do you struggle with despair? Learn how Therese of Lisieux trusted God through tragedy, scruples, spiritual darkness, and physical suffering. Connie Rossini pairs episodic stories from the saint’s life with memories of her own quest to trust. With Sacred Scripture, the Catechism of the Catholic Church, and insights from psychology, Rossini leads readers to surrender their lives completely to Jesus. Connie Rossini gives whole families practical help to grow in holiness. She is the author of Trusting God with St. Therese, A Spiritual Growth Plan for Your Choleric Child, and the free ebook Five Lessons from the Carmelite Saints That Will Change Your Life. She writes a spirituality column for The Prairie Catholic of the Diocese of New Ulm, Minnesota, and blogs at Contemplative Homeschool. 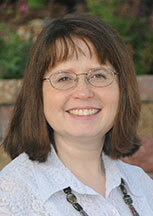 She is also a columnist for SpiritualDirection.com and owns the Google+ Community Indie Catholic Authors. Connie and her husband Dan have four young sons. Around 33 A.D. Jesus the Christ chooses a blind beggar out of a crowd, and performs a very public, miraculous healing. We are introduced to the Man-Born-Blind in John’s Gospel, chapter nine. We see him, but we do not see what he saw… until now. Peek back in time to see the Gospel come into focus, like never before! John C. Connell, in addition to Eyewitness, is the author of Catholics Mean Business: 30 Days to Managing Your Work Week, God’s Way, and the follow-up, Catholics Have Courage: 40 Days to Beating Stress, God’s Way. He lives, works, and writes in Houston, TX., where he is crafting other works of nonfiction to “nurture the soul at work,” and more fiction that will bring history alive like never before! Grandmother Mamonona wants to give her grandaughter Kylee a special gift for her first birthday. 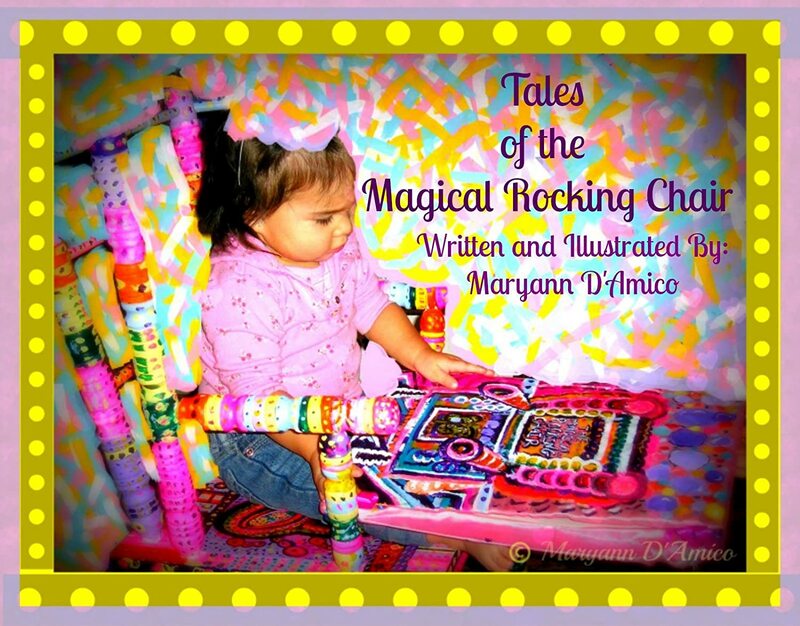 Mamonona creates a Magical Rocking Chair from an old rocking chair that was her daughter’s chair growing up. The familiy heirloom becomes a window into the world of creativity, art, virtue, and prayer. Kylee learns about creativity and imagination. This is book one in a series. Author Maryann D’Amico has been writing children’s books for the children in her life for seven years. They were created as gifts to her grandchildren for their birthdays and Christmas. Pendragon Academy’s 100 Best Free Online Learning Links for Teachers, Parents and Students is filled with the best free educational sites on the internet. With fun learning games, lesson plans, resource sites, interactive lessons and virtual programs, there is something for everyone. The learning links are indexed alphabetically, by grade level and by subject for easy navigation. Dawn Witzke is a published writer of diverse styles and genres, with an emphasis on law and education. She has a love of learning that she shares with everyone, including her son whom she homeschooled for a time. She holds three degrees, including a Bachelor Degree in Political Science and Sociology and is a NALA Certified Paralegal.Dawn is currently working on a series of educational reference books as well as a Catholic YA trilogy. Our Lord thirsts for our love. He is waiting for us to love Him! Why have so many of us been unwilling to quench His thirst? If we really believed Jesus Christ was truly here with us, we would visit Him. Nothing would prevent us from doing so. We would not permit anyone or anything to take precedence over Him. But we do not come as we ought because not enough of us believe He is here! It is the author’s hope that after reading this book you will quench His thirst, and Love! Reverence! and Visit Him! Michael Seagriff practiced law for 30 years, as a general practitioner, prosecutor, criminal defense attorney and Administrative Law Judge. His vocation as a Lay Dominican created an insatiable desire to learn, study, live and share the Faith. For more than ten years he led a Prison Ministry program and has spent the past decade promoting Perpetual Eucharistic Adoration. Now retired, he aspires to promote zeal for the salvation of souls, awe and amazement for the Holy Eucharist and Eucharistic Adoration, and fidelity to the Truths of our Catholic Faith. 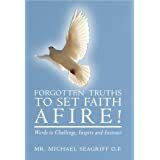 See Michael’s other book on sale below. 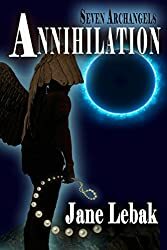 Angels have always known they’ll live forever, but now Satan has figured out how to annihilate an angel. He starts with Gabriel. Who’s next? Jane Lebak talks to angels, cats, and her kids. Only the angels listen to her, but the kids talk back. She lives in the Swamp, writing books and knitting socks, with the occasional foray into violin-playing. You’ll also find her blogging at QueryTracker.net, a resource for writers seeking agents and small publishers. Enjoy! Daddy, Come & Get Me: a dad’s adventure through a Guatemalan adoption tells two stories about one girl. Author Gil Michelini tells how he led his family through the process of adopting a daughter of Guatemala. Using the official Guatemalan adoption documents, along with assistance of those familiar with the Guatemalan culture, Michelini includes a plausible story of his daughter’s life in Guatemala and how her birthmother came to the decision to relinquish her for adoption. This story is included to illustrate and honor the sacrifice one woman endured for the sake of her daughter. Mentally unstable woman kidnaps pregnant mother of five. Ellen Gable (Hrkach) is a bestselling, award-winning author of five books. She is also a freelance writer, publisher, editor, speaker, book coach, NFP teacher and President of Catholic Writers Guild. When she’s not writing, Ellen enjoys spending time with her husband and five sons, watching old movies, playing trivia games and reading on her Kindle. She and her family reside in rural Pakenham, Ontario, Canada. What might it have felt like to meet Jesus when he walked the earth? What would it be like to witness miracles by him? What changes would follow? 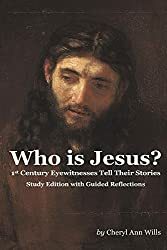 The short stories in this book are told by people who met Jesus in the Gospels, as imagined by the author. Discover the difference an encounter with Jesus made in their lives. As historical fiction, the stories accurately reflect the era’s culture and historical context. It is designed to make people consider their own life events differently for the purpose of personal growth. The reflections are divided into six sections and are intended for use by individuals at their own pace or in groups. Cheryl Ann Wills is an author and entrepreneur. From childhood through college and the workplace, she has been a writer. Her writing varies from non-fiction to children’s stories. This is her first published work of historical fiction. Her passion is to give back to society by making a difference. She and her husband, Ed, have three fabulous daughters and two happy dogs. Many Catholics do not hear, know or live the Truths of their Faith. 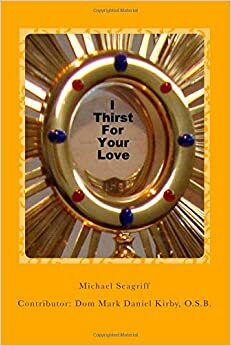 Retired attorney and Lay Dominican Michael Seagriff has done something about this tragic situation by compiling more than 1200 quotations from Sacred Scripture, the Catechism of the Catholic Church, Popes, Church Doctors, saints, bishops, priests, sinners and regular folk. The power of these words changed the author’s life and can do the same for all who read and reflect upon them. To pray is to talk to God, but how? With this book we learn from a master, St. Josemaría Escrivá, the founder of Opus Dei. Part I takes selections from his published works in which he speaks directly with God. Part II is his collection of New Testament passages assembled in 1933 for his own prayer. Together they accent the simple, confident, childlike way he talked with his divine Father. St. Josemaría’s message was and is that God calls everyone to holiness, most of us in the midst of the mundane things of every day. Tom McDonough has been learning to pray with St. Josemaria for 45 years. 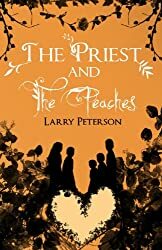 Larry Peterson, Sr. is a published author and Catholic/Christian blogger. Larry’s first wife died of cancer (Melanoma) in 2003. He married again in 2006. The writer has three grown kids and six grandchildren and they all live within three miles of each other. His books include the children’s book, Slippery Willie’s Stupid, Ugly Shoes. In Church Triumphant, you can read about 25 men and women who dedicated their lives to God and the Catholic Church. These men and women are heroes of virtue and prayer who helped change the world for Christ. The biographies are written concisely with the goal of giving you the chance to learn about great saints in a short amount of time. John Paul was born and raised in West Michigan. He attends daily Mass with his parents and brother, Michael. John Paul and his brother have served English, Latin, and Polish Masses for over 17 years. John Paul has always loved to read about the saints and about the Roman Catholic Faith in general. He hopes to become a priest someday. David had planned to go to his college homecoming and then spend a week with his parents. 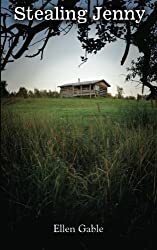 However, an accident on the highway sends him on a detour that will ultimately result in him spending the weekend in Spring River, a small farming community where many of the local farmers are facing foreclosure. Is David’s arrival in Spring River purely happenstance, or is there a reason for him to be there? As David learns more about the corrupt practices of the local bank he must decide what role, if any, he will play in trying to stop the foreclosures. Complicating his decision is Sarah, a local waitress. With plans to only be in town a couple of days, David knows that Sarah will likely be just a passing acquaintance. But is that all she really is to him? Navigating Deep Waters: Meditations for Caregivers offers caregivers a contemplative basis for understanding their unique circumstances. Each chapter focuses on the metaphoric theme of water, and the reader can interpret its meaning through prayer and reflection. Journaling prompts and a prayer are offered at the end of each chapter, as well as lined pages for the reader to jot down thoughts and emotions. 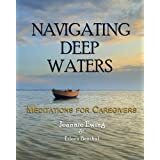 Intended to supplement other available resources for caregivers, Navigating Deep Waters acknowledges the deep, spiritual and psychological aspects of caregiving that will enrich every caregiver’s journey toward healing, peace, and joy. Jeannie Ewing is a writer, speaker, and grief recovery coach. Jeannie was featured on National Public Radio’s Weekend Edition and Tony Agnesi’s radio show Finding God’s Grace. She offers her insight from a counselor’s perspective into a variety of topics, including grief, spirituality, and parenting children with special needs. Jeannie resides in northern Indiana with her husband and two daughters, both of whom have special needs.